Our Miami-based Business Transactions practice involves advising and representing business entities in Miami-Dade County (including for profit and not-for-profit corporations, partnerships and limited liability companies), investors and entrepreneurs, and financial institutions (including banks, private equity firms and REITs). Our Firm often acts as “Outside General Counsel” to both Miami-based businesses and organizations located throughout the United States, Latin America and Europe. Our firm provides flexibility to those entities that do not have an in-house attorney or legal department. We draw on our collective experience and training to provide legal guidance and strategic planning advice to assist our clients in balancing their business objectives. Our experienced staff understands the challenges that businesses face in today’s marketplace. 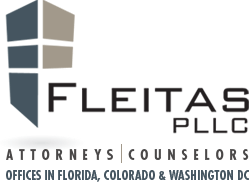 From start-ups to established businesses FLEITAS PLLC provides responsive, detailed, and cost-effective counsel and representation to meet your business objectives. We assist companies in the full array of transactions an organization may encounter. From structuring transactions and drafting all types of contracts and agreements, to the performance of due diligence, our team stays prepared and ready to advise every step of the way. FLEITAS PLLC offers effective and innovative representation, attributes that are critical to an entity’s success.